Well, actually it’s really in the high 30’s in Washington State, but thanks to Scuttlebutt Brewing Company I’m looking forward to a snowy, chilly winter. This year the brewery brought out its 10º Below Ale. Brewed in the style of an imperial dunkelweiss, 10º Below has a crisp, citrus yet creamy start and ends with hints of chocolate and caramel. 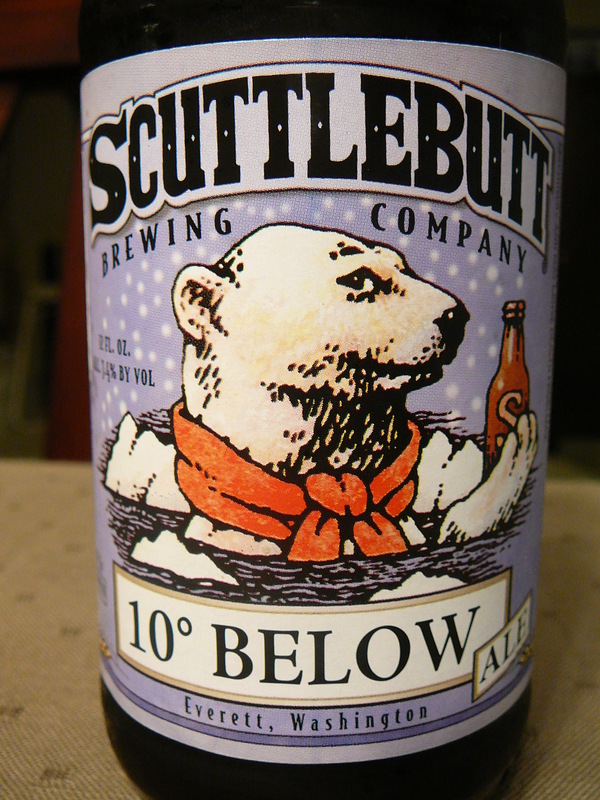 Scuttlebutt brews this gem of an ale using both Mt. Hood and American Sazz hops creating a very creamy, rich, medium bodied beer. I really like this beer. I’m usually very cautious when it comes to winter beers as they usually run a bit high when it comes to the alcohol content. Well, 10º Below Ale is no exception. This baby is 7.4% abu so I suggest you eat before you drink. Or, eat while you drink! This beer goes great with a hearty holiday meal. Yes, there is a slight taste of hard alcohol, but nothing so strong as to detour even the most “alcohol sensitive” from partaking in this creamy goodness! 10º Below Ale is truly one of the “winter warmers” coming out this month. Now, some people may feel that drinking something cold when there are icicles on the roof top is just crazy business. But trust me, once you pop open this winter ale you will be warmed from your head to your toes. And, there is a polar bear on the label. How can you go wrong with a polar bear? So grab your favorite guy or gal, curl up next to a cozy fire and pop open a 10º Below Ale.